This comes from the personal collection of my friend, Renee. She had given me a bunch of her old albums and when going through the boxes, I discovered that she was a huge Monkees fan. 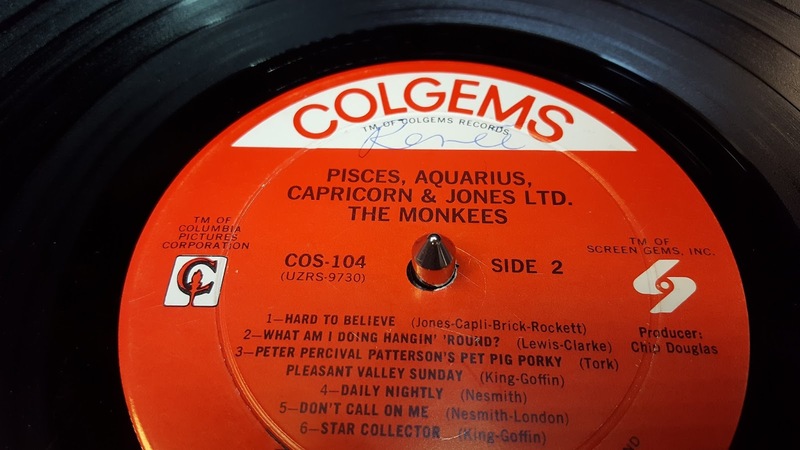 This week's Song of the Week comes from the Monkees' fourth album, Pisces, Aquarius, Capricorn & Jones, Ltd. It is "What Am I Doing Hangin' 'Round?" Hear it on Wednesday April 4 at 10am and 10pm, Central. And then throughout the week. Or, listen to it now, played on Renee's original 1967 album.